In response to damage done recently to the Istabl Antar archaeological site in Old Cairo, particularly the area where the French Archeological Institute for Oriental Studies in Cairo (IFAO) has been carrying out excavation work since 1985, Roland-Pierre Gayraud, archaeologist and researcher at the French National Centre for Scientific Research (CNRS), wrote the following column for Ahram Online. The Istabl Antar excavations have been conducted within the remit of the scientific activities of the French Archaeological Institute in Cairo (IFAO) where I initiated the field of Islamic archaeology. Today, this site, which I have managed to preserve in the face of illegal urbanisation over more than a quarter of a century, is on the verge of disappearing, due to the lack of proper protection and total disrespect of law. In what follows, I give you a short description of the remains that are on the point of being destroyed. They deserve to be protected and preserved, simply because they are unique in the history of Islamic Egypt, and even in the Islamic world. The mausolea were reused and modified by the Fatimid family following the orders of Taghrid, the wife of the Fatimid Caliph Al-Muizz and mother of the Caliph Al-Aziz after their arrival in Egypt in 362 H/973 AD. The deceased buried in these mausolea, who will probably end up in a rubbish dump, as happened to the remains of the dead of the Ayn Al-Sîra cemetery (1991) or those of the Fatimid caliphs when Khan Al-Khalili was built in the Mamluk days. The site also includes of five aqueducts, rare witnesses to the hydraulic constructions in Al-Fustat. The dates of these go from the end of the 7th century AD to the end of the 11th century, the last one having been constructed by the vizir of Al-Afdal. A hammam (bathroom) dated to the second half of the 11th century, with stucco decoration belonging to the early decorative art of the Fatimids, is also present. A water cistern for redistributing water arriving through an aqueduct, constructed between 144-145 H/762 and 151-152 H/769 AD, bears many architectonic elements that allows dating of other similar structures in the Islamic world. A chamber tomb built between 132 H/750 AD and 144-145 H/762 AD contains architectural parts that may change our knowledge of Islamic architecture. An enormous number of artefacts and objects have been saved that would have disappeared without excavation work: ceramics, coins, glass weights, decorated bone objects, decorated wooden objects, cloth material, basketry, papers, papyri, ostraca. Amongst the materials there are some tiraz found in situ — shrouds used to wrap the deceased as they are laid to rest. Some of these have not been excavated due to lack of funding for proper restoration. To give you an idea, they are similar to those in the Benaki collection in Athens. So here you have a description of what is on the point of disappearing, with a complete lack of concern from various authorities. I may add that the site has never received the protection that was due. The Supreme Council of Antiquities (SCA), now the Ministry of State for Antiquities (MSA), has never posted any guards and no official surveillance has ever been arranged for. If the site has survived so far, it is only thanks to my personal intervention, even if I have not been able to prevent some destruction. No high responsible from the SCA ever bothered to visit the site except for one visit of the responsible from the taftish of Al-Fustat. However, I have to set aside Ibrahim Abdallah, present director of Al-Fustat area, and some inspectors from the same taftish, who have used much energy to help preserve the site and who have always shown a great interest in this research. 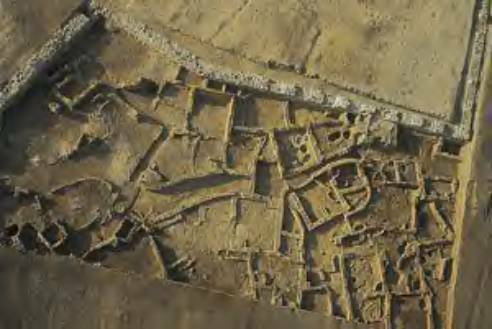 I may add that I have witnessed the disappearing of many other archaeological remains on this plateau: the excavations of the University of Cairo directed by Suad Mahir, and some others done by the SCA. During autumn 1991, I assisted helplessly amid the destruction of the Ayn Al-Sira cemeteries, one of the oldest Islamic cemeteries in Egypt, the stelae of which are stored in the Islamic Museum in Cairo, and some of which have been published. The important excavations of George Scanlon (ARCE and AUC) have disappeared under heaps of rubbish. Today, the excavations of Aly Bahgat are also following the same fate after having been flooded for many years, in spite of them having been restored by the Committee for Conservation of the Arab Art. Apparently, it is now my turn. It is not up to me to accuse anybody specifically, but the fact that I have spent more than 20 years of my life to try to reveal the glorious past of Islamic Egypt allows me to show my deep worry concerning the wish to protect and to make known this past.